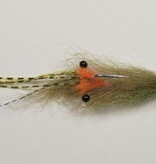 An Enrico Puglisi pattern. 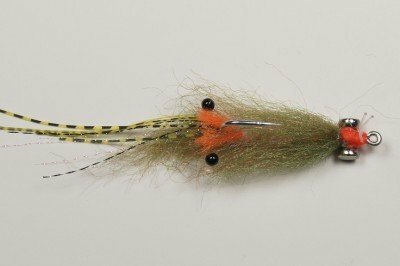 ,This shrimp pattern is available in 3 color variations and resembles the small shrimp commonly found in turtle grass. 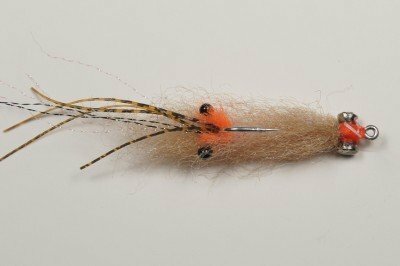 It has a tuft of orange fiber to resemble a shrimp in spawning mode. 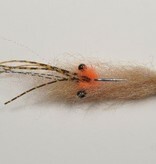 ,It will catch bonefish most anywhere, comes in size 4 or 6 with a weed-guard and lead eyes for a faster sink rate.